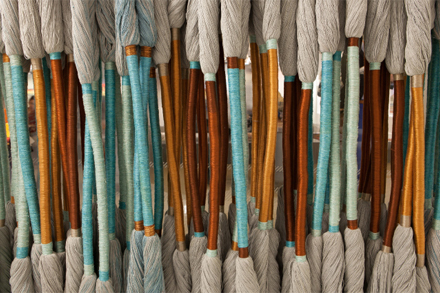 Momentum is honored to introduce the final two designs of the Crossing Colors collection, designed by Sheila Hicks. 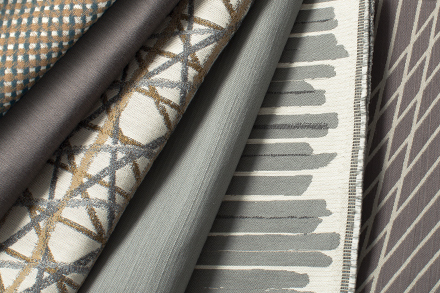 With expertise derived from her sixty years’ experience at the pinnacle of the art and design worlds, Sheila envisioned and executed this exquisite collection of textiles consisting of five energetic, linear patterns and a subtly textural coordinating plain. 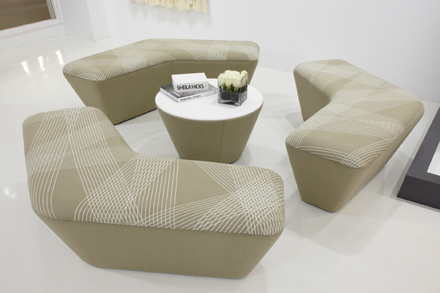 In the summer of 2012, Momentum approached Sheila with the desire to collaborate, and discovered a willing partner with a shared aesthetic goal – to break free of the traditional boundaries of woven textiles to create a collection of truly contemporary fabrics. 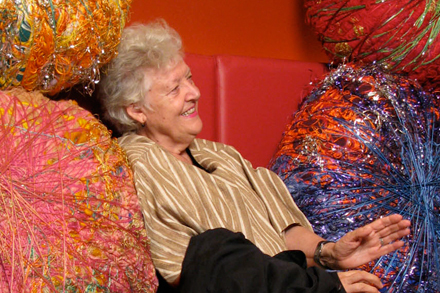 Sheila presented to Momentum her vision for the collection: Crossing Colors, based on an ongoing series of artwork she has been producing since the 1960s. 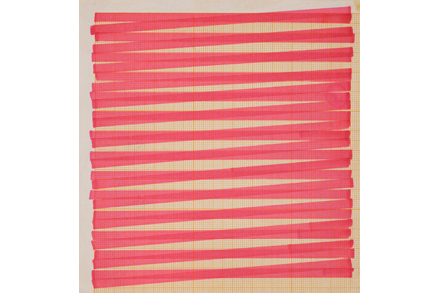 In the over 70 drawings that comprise this series, Sheila explores many incarnations of intersecting angled lines. The crossings form engrossing interstices of negative space; colors meet and react in surprising combinations. Five of these graphic works of art were selected for translation into upholstery textiles. To execute the vision of the artist, it became necessary to expand the boundaries of jacquard weaving. 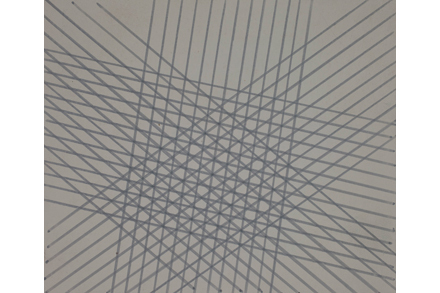 Hicks wanted the designs to extend from one edge of the fabric to the other in unbroken strokes emancipated from the constraints of looms that usually require a horizontal repeat. 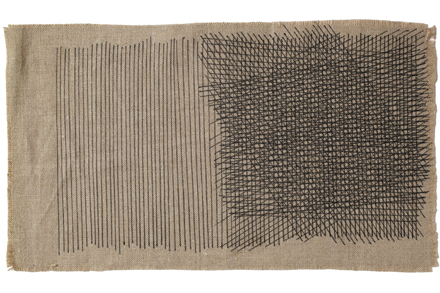 Great care was taken to preserve the exquisite nuances of the artwork by capturing the expressive variation of ink and chalk on paper and translating it into woven form. Ms. Hicks is famous for her impeccable use of color, so particular attention was given to the nuances and glowing saturation of the 91 skus in this collection – a truly irresistible array of colors. The texture of Sheila’s original oil pastel artwork has been faithfully translated in our woven rendition, showing every nuance of her hand moving across the paper. Featuring a wealth of textural detail, this pattern offers a tailored approach for admirers of Sheila’s aesthetic who require the subtlety of a small-scale pattern. 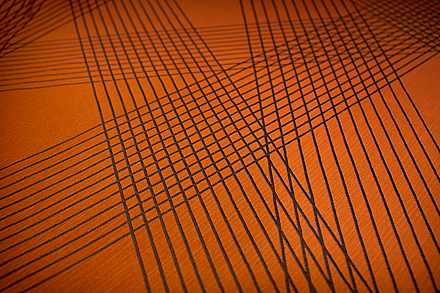 Sleek and architectural, narrow bands of color cut laser-straight across the full width of the fabric in intersecting diagonal vectors. 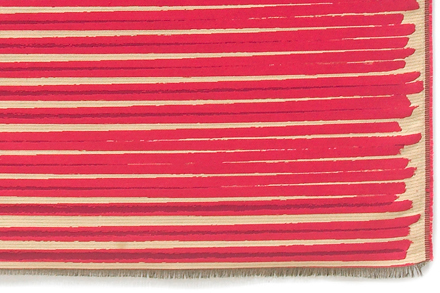 The repeat size of this pattern is massive – over six feet high by the full 54” fabric width. Twenty-five color combinations provide incredible diversity. 25 colors | 75,000 D.R. 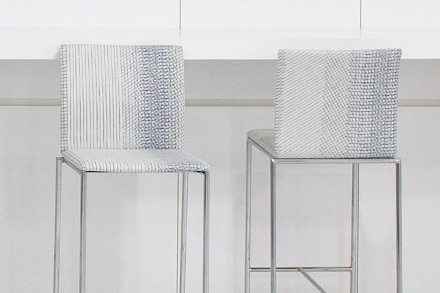 Hand-drawn, tilted lines band together in varying densities to form a large-scale, variegated stripe. The texture of colored lead drawn over canvas was carefully replicated in fine Egyptian cotton. The layout of the stripe is given room to explore multiple rhythms – at times more sparse and minimal, with other areas densely packed and energetic. 6 colors | 90,000 D.R. The expert hand of the artist is showcased in a faithful, woven reproduction of the original work. Brush strokes extend from one selvedge to the other, doubling-back and overlapping in acute, irregular angles. The colors deepen where lines intersect and the edges of the fabric show the unique final flourish of each brush stroke. 9 colors | 70,000 D.R. The refined horizontal texture of the ground weave in Crossing Colors is presented here sans pattern, in a large, diverse palette of 25 solid hues tailored to match and complement shades of Crossing Colors as well as the other patterns in the collection. 25 colors | 100,000 D.R.